Good things come in pairs! Congratulation! 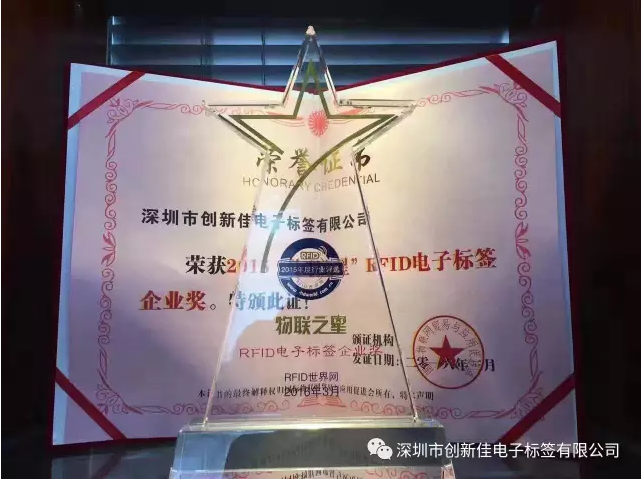 Chuangxinjia RFID Co., Ltd won the honorary awards once again. 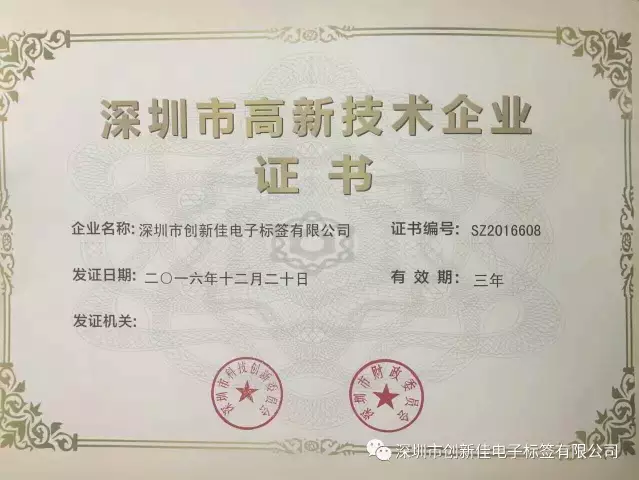 A year’s plan stars with spring, upon the arrival of springtime, happy events continually happened to ChuangXInJia RFID Co., Ltd, which is a good sign. 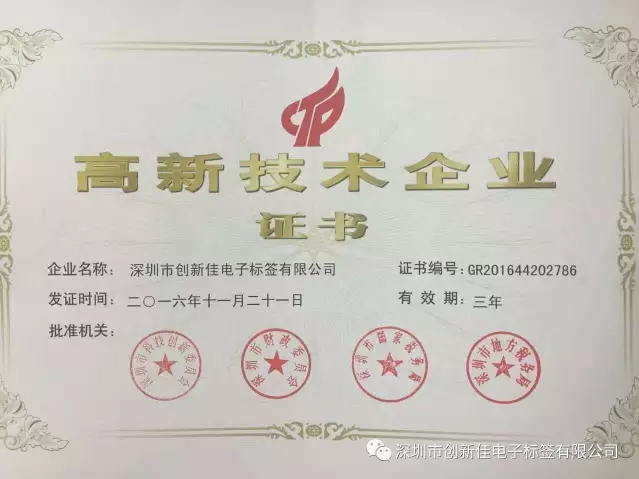 ChuangXinJia won the title of “the star of Internet of things” for RFID tag enterprise again after being awarded the honorable title of nation high-tech enterprise and high-tech enterprises in Shenzhen City not long ago. Sincerely appreciate the full supports from all friends in the society, in 2017, we will take this as motivation to keep a clear and focused mind, adhering to the service concept: quality is the life, innovation is the soul, keep on moving with you in the main road of RFID internet of things insisting on the principle of integrity, high quality, innovation and win-win, moving forward together! Chuangxinjia is a leading company when it comes to e-commerce, Shenzhen Chuangxinjia smart card co., Ltd is specialized in producing and marketing of pvc card and smart card. Its main products include NFC stickers,RFID bracelet,RFID wristbands and card sleeves. In 2010 Shenzhen Chuangxinjia RFID tag corporation was founded, a high technology enterprise which engaged in researching as well as producing and marketing of system project, application equipment and end products. As the world’s leading network business enterprise, Chuangxinjia will continuously innovate and develop, strive to become the pacemaker in e-business industry. Click here to know more information about CXJ RFID factory. If you have any suggestions or questins, please feel free to contact us.